Three Things Consulting have developed a series of skill building opportunities for community workers, grassroots organizers, social workers, educators, health providers, youth workers, clinicians, victim’s services, police services and others who provide support, programming and services to children, youth and young adults. These day long sessions provide youth influencers and helpers an opportunity to increase their knowledge and skills while providing a networking experience amongst those who work or volunteer to support local children, youth and young adults. 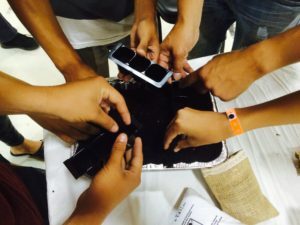 We have delivered our Capacity Building Sessions to groups ranging between 8 and 250 people at a time, and in each of these sessions we have been able to create a meaningful, engaging and informative experience where participants are afterwards able to identify what they have learned and how they will use this new knowledge in their work with youth and young adults. Complementing this we often hear back how participants felt heard, respected, empowered and a part of. Our goal is to ensure everyone understands and puts value into the experience and expertise they have as helpers and build on existing strengths and assets they carry with them. Throughout the capacity building session we share strategies and stories that are both practice and evidence based. 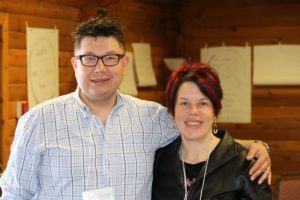 We provide current and up to date research and findings along with learnings from our more than 60 years combined working with children and youth. youth engagement and gender based work, including one session on engaging and supporting girls and young women and a separate day focusing on young men. Following each session participants receive an online evaluation opportunity that helps identify future topics of interest in a local community. Recognized for the their leadership and innovation regarding the meaningful engagement of children and youth, Three Things Consulting facilitators came to realize one powerful lesson along their journey: engaging adults requires the same outcomes as young people: a cognitive and affective component along with a behavioural experience – where adults take part in an experience where they learn, feel and know how to turn these lessons and feelings into action in their role as allies, supporters and helpers. We deliver these sessions either to one organization and their staff and volunteers or can work in partnership with local organizations to host a community wide session together. 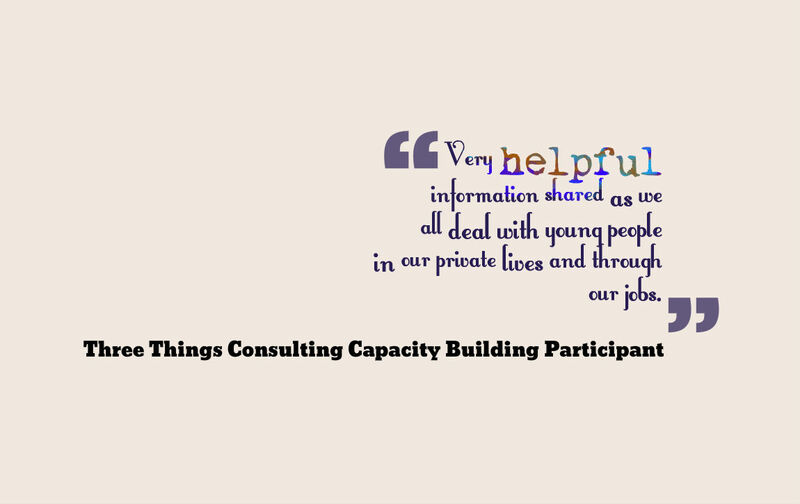 Click here for more information about some of our more popular Capacity Building Sessions.